From time-to-time our readers send in interesting military photographs from their past, and we like to share them with the rest of you, along with some details about what was going on at the time. We thought you might like to see some images submitted by Will Tate about his service in the US Navy during the 1960s. They are deceptively simple shots, as they offer a fascinating glimpse into the dangers and difficulties endured by pilots and crew during the Cold War. We asked Will to share a little of his story here with you, and hope you find it as interesting a read as we did. I joined the US Navy in 1962 while still in high school. I had been dreaming of flying in the Navy since I was very young. Growing up roughly a mile from Naval Air Station Atlanta, I was able to ride my bicycle down to the base and watch Corsairs, Skyraiders, Catalinas, and Neptunes taxi, take off and land…. so you can imagine how a ten year old boy from the Deep South would dream about flying in the Navy one day. In November, 1963, after boot camp and Aviation Electronics school, I arrived at my new command, VW-11 (AEWRON Eleven). The squadron’s home port was Naval Air Station Argentia in Newfoundland, Canada. 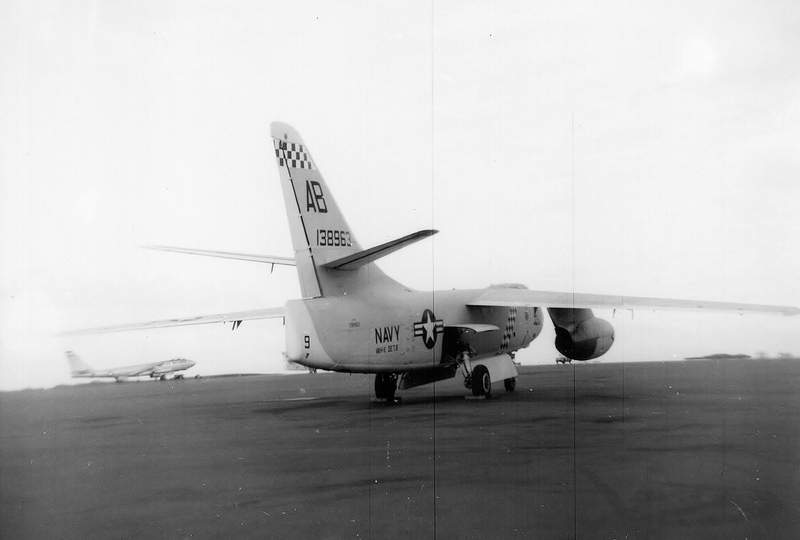 However, to maintain readiness for the ever-present Soviet bomber threat, the twenty man crews for our EC-121K Super Constellation AWACs aircraft spent two weeks out of every month deployed to a forward base; Naval Air Station Keflavik in Iceland. Our role was to augment the Distant Early Warning Line, or DEW Line for short. The DEW Line comprised a series of radar stations spanning the northern rim of the Americas out over the North Atlantic to the Faroe Islands. Along with other units, our squadron helped form an Airborne Early Warning (AEW) barrier in the Denmark Straits between Greenland and Iceland, and another barrier between Iceland and the United Kingdom. The DEW Line’s land-based radar stations throughout Alaska, Canada and Greenland were thusly joined with an unbroken link to stations in Iceland and England. The Navy’s AEW barriers would fill the over-water gaps round-the-clock for the next three years. While at NAS Keflavik, I was able to observe and photograph Navy and NATO aircraft operating from base. 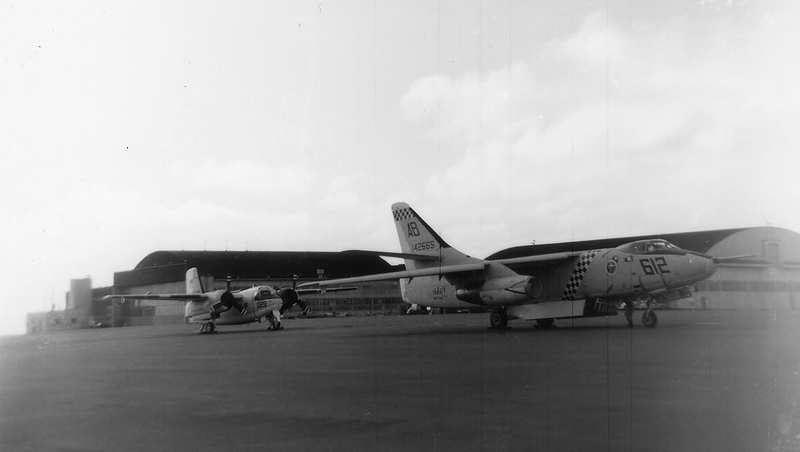 The first series of pictures features two Douglas A-3B Skywarriors from the carrier USS Independence (CVA-62). One of the Skywarriors had a problem with its hydraulics or a generator over the North Atlantic, so its crew diverted to Keflavik, along with their wingman. The Grumman C-1 Trader, a Carrier Onboard Delivery aircraft, came in the next day with parts and a ground crew to fix the sickly Skywarrior. They departed that night. 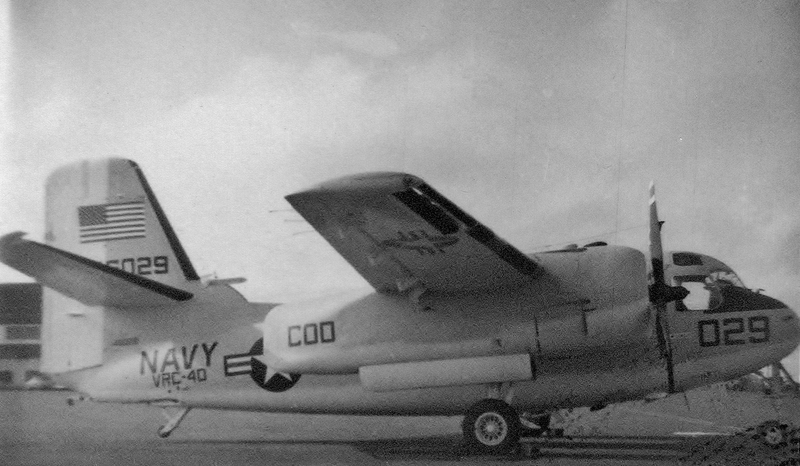 VAH-11 Det.8 flew off the USS Independence in the North Atlantic from August to November 1964 and may have been involved in developing leapfrog communication. I remember some of the circumstances around this time as there was a large NATO exercise involving convoy movement across the North Atlantic. I believe the Independence departed Norfolk on September 8th, 1964 for NATO Teamwork exercises in the Norwegian Sea and off the coast of France. She returned to Norfolk on November 5th, and entered the Norfolk Naval Shipyard for overhaul. I confirmed these details using internet sources. Later the USS Independence departed Norfolk on 10 May 1965, to deploy for more than seven months, including 100 days in the South China Sea off the coast of Vietnam. She was the first Atlantic Fleet carrier to do so. Also, take note of the two Boeing WB-47E Stratojets in the background. I believe these aircraft may have been supporting the NATO exercise as well. 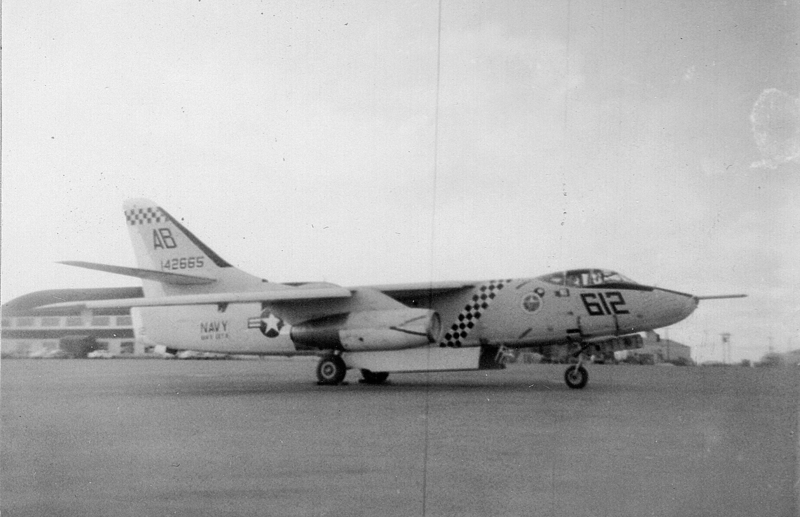 The US Navy accepted BuNo 138963, an A-3B in September, 1956. NARF Alameda converted her to a KA-3B tanker in December, 1967, but she soon became a ground instructional airframe at the base; winding up in the salvage yard by August 1970. 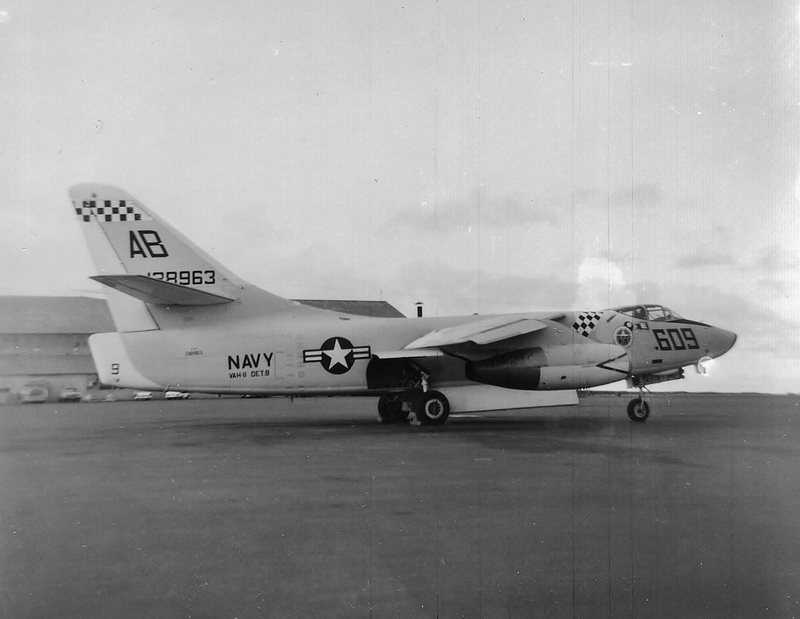 A-3B Skywarrior, BuNo 142665 started her naval service in May, 1959. While with VAH-4, her nose wheel collapsed during the catapult stroke on the USS Enterprise in the Gulf of Tonkin on April 1st, 1966. This was a tanker sortie, and the overloaded aircraft went straight into the water, sadly taking the lives of all three crewmen. Before the US Navy aligned their nomenclature with the other US armed forces in 1962, Skywarriors were known officially as A3Ds. Naval Aviation is sometimes known for its dark sense of humor, and following a spate of fatal Skywarrior accidents, the A3D became known as “All 3 Dead”. It didn’t help that the A-3D had no ejector seats, unlike it’s US Air Force equivalent, the B-66 Destroyer. This incident aboard the Enterprise just added to the legend. C-1A Trader, BuNo 146029 also served aboard the USS Lexington, and is the only aircraft amongst those depicted in this article which still survives today, albeit in private hands. She spent many years stored outside at Tom Reilly’s now-closed museum in Kissimmee, Florida, and is currently registered (under a lapsed CofA) to Dennis Callahan of Neptune Beach, Florida. WarbirdsNews wishes to thank Will Tate very much for his story. We would also like you to know that he is the co-author of a fascinating book on military aircraft markings, Paint Locker Magic – A History of Naval Aviation Special Markings and Artwork, which you will be able to find on Amazon.com when it launches in a few weeks. Here is a link in case you’d like to have a look and pre-order your copies. We will of course be reviewing the book once it’s officially published. To pre-order Paint Locker Magic – A History of Naval Aviation Special Markings and Artwork on Amazon click HERE. We are always interested to hear from our readers, so if you have a story you think others might enjoy sharing, please do send us a note via e-mail, or our Facebook page HERE. I was a AT2 on VW-3 based on Guam flying WV-2 aircraft in the 1957/58 time frame and we deployed to Midway Island to fly the barrier from Midway Island to Kodiak, Alaska and return to Midqway Island as part of the RADAR picket line in the Pacific. I joined the Navy at Lakehurst NJ in Dec.1959 while in high school. After graduation went on active duty Dec. 60 and joined AEWRON VW-15 at Patuxent River MD. 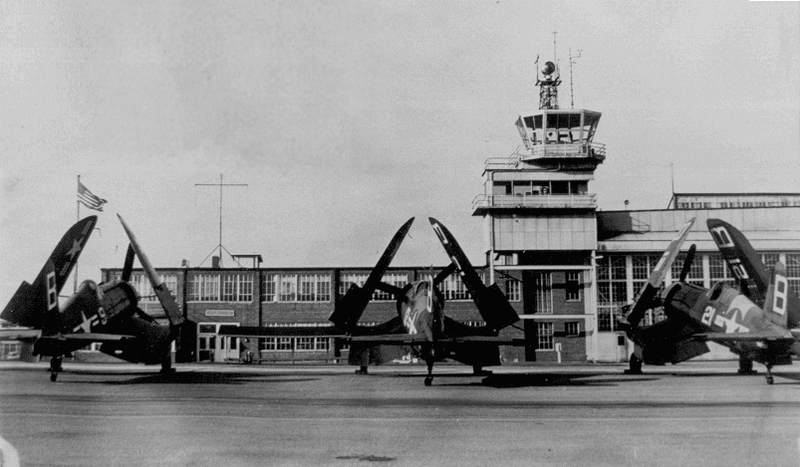 In June 1961 we merged with VW-13 and relocated our home base to Argentia New Foundland. 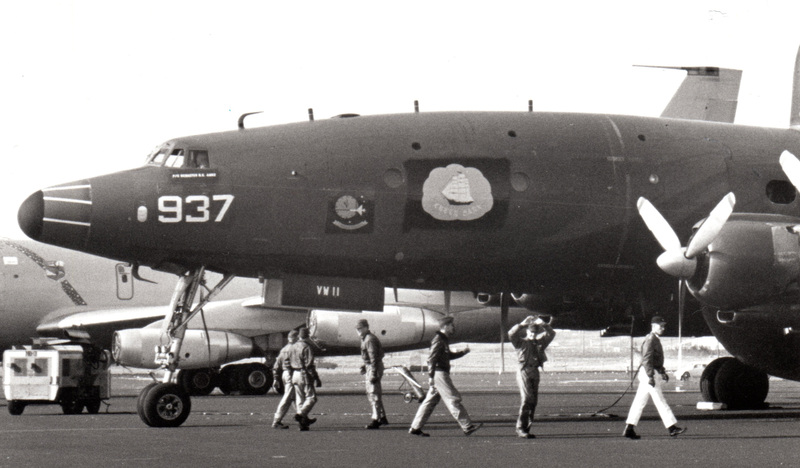 I was in aviation supply(AK3) and deployed to Keflavik to support the WV- 2(-super connies) as they flew between Keflavik and Glascow as an extension of the DEW line. Finished my active duty in Dec. 62 and the remainder of my reserve time in Dec. 65. 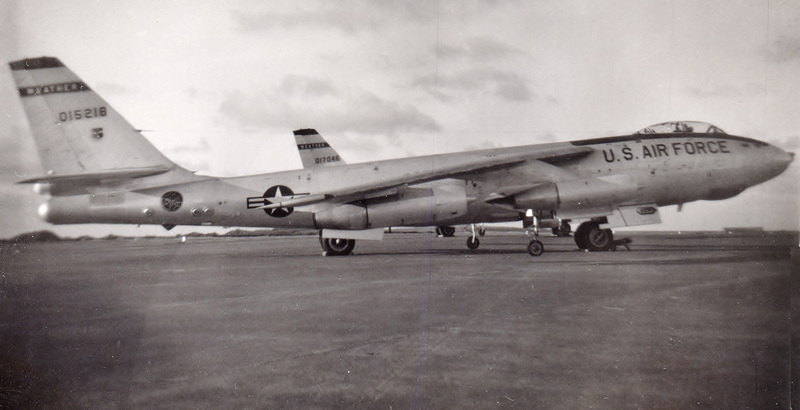 I arrived in Keflavik in May 1961 when it was formally an Air Force Base. On 1 June 1961 it became Naval Station Keflavik Iceland (and I have the Plank Owners Certificate to prove it:). I was part of the base support system for the magnificent super connies that flew the DEW line. I was part of the Air Terminal operation that flew families to Prestwick, Mildenhall and Rhein Main for a little R&R as Iceland was a hardship post for permanent staff and their families . I rode those Connies at the time you were there. Dad was Air Force. We actually enjoyed our time there and didn’t consider it a hardship, but I could see where some people would. I went back with my wife a couple years ago and she loved it also. Thanks for the note. I, too, thoroughly enjoyed my time there. I had an Icelandic friend who worked on the base as an air controller for Iceland. I would go to his house off base, change into my civvies, then go to downtown Reykyavik and party. Never did get used to their booze, akavit, or something like that. It tasted like caraway seeds to me. I’d love to go back sometime, maybe someday…..
Aquavite should not be consumed like Brennivin (Black Death). Swedes and Danes drink it as an appertif followed by a nice swallow of beer (Ol). Also, in Scandinavia nowadays there are many flavors of aquvite from bitter to lemmon. Enjoy your next visit to Reykjavik, you would not recognize it, I don’t and I grew up there. I was stationed at Kef Naval Air Station from Aug. 64 to Jun 65. Taught in the DOD high school. Dated LT Don Huber from VW 13 . Married him in 1967. He passed away in 2001. One of the best time’s as an Air Force dependant was being at the US NATO Station (1989-1993). Arrived during the light hour’s at the age of 9 and left April 3rd, 1993. It was an incredible experience. My father worked with the AWACS unit. In reference to Navy Cold War Ops in Iceland… VAH-11 Det 8 did develop leapfrog communications in the period September to December 1964. I was the operator and A3Bs sidenumbers 609 and 610 were my aircraft. 609 was my preferred bird and it was used in about 95% of the leapfrog developmental flgiths…. Was stationed in VAH 11 DET 8 Sanford,Florida 1963/1965. Reported to Lieutenant Charlie Brown and remember the NATO Cruise aboard the Independence. I flew a mission with Lieutenant Nichols on that cruise. My dad was stationed there in 1962 when I was 10 years old. It was a great base for a kid. Lots of things to get into. I remember the base weather station would sometimes give us kids a weather balloon to play with. My best memory was flying from Newfoundland to Island in a MATS plane with all our furniture including our upright piano in the back of the plane. Thanks for the pictures, it brings back memories. 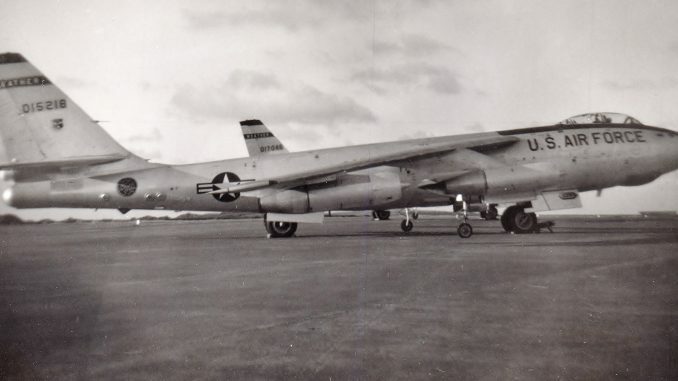 I was stationed at NAS Keflavik, in 1970 and 71, Was a Radioman for ComfairKef, worked in the Opcon unit, and occasionally flew with the VP squadrans. Enjoyed my time there, and never regret being stationed in Keflavik.